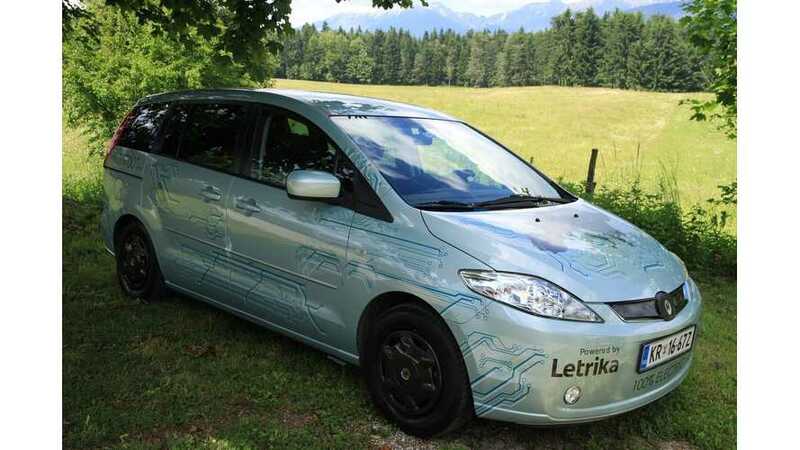 Andrej Pečjak from the Institute Metron in Slovenia, Europe on October 12th set a new distance record in a Mazda5 converted to electric drive and called Motorn 7. The car drove in normal traffic with an average speed just 65 km/h (40 mph), but its large 86 kWh battery pack (plus 12 kWh in a reserve module) provides Motron 7 with substantial range. More than 400 km at 130 km/h (81 mph). 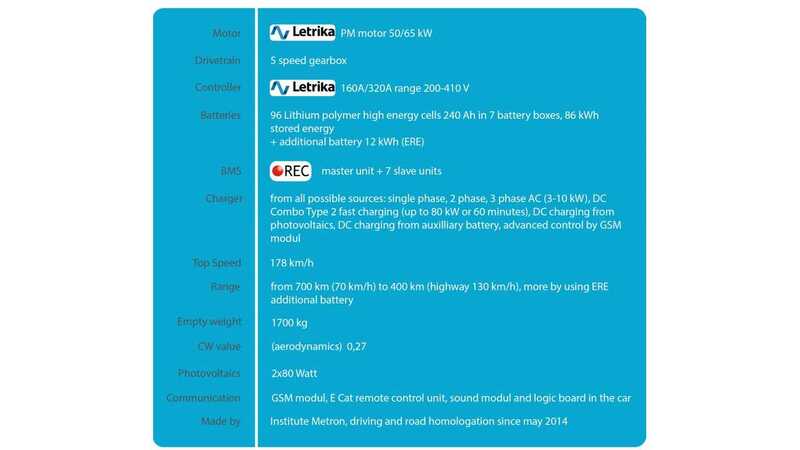 The motor is just 50/65 kW (continuous/peak), but combined with a 5 speed gearbox can take Motron 7 to 178 km/h (110 mph). "If the car was made in big series its price would be some EUR 50,000." "Metron 7 attended WAVE 2014 World advanced vehicles expedition where it wan the range competition. When the last Teslas stopped because there was no more energy left in batteries, Metron 7 could still do another 130 km!"